Hiking, biking, adventure playgrounds–little boys are on the go all day long, preferably outdoors. The Boys Whirlwind Jacket has got what it takes to keep up with them. It is warm and breathable, so your little adventurers will always feel comfortable when they're playing outside. The softshell fabric is super comfortable and stretches as they move. 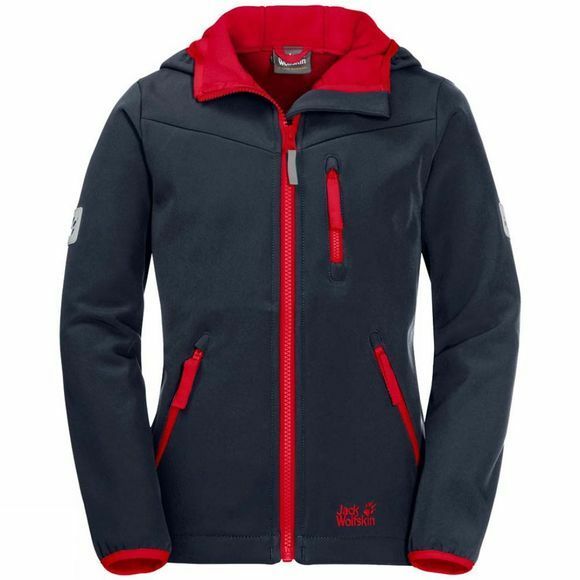 The Boys Whirlwind Jacket has a soft, warming microfleece on the reverse side which feels pleasant even when worn next to the skin. The jacket can also cope with light wind and short showers with no fuss.